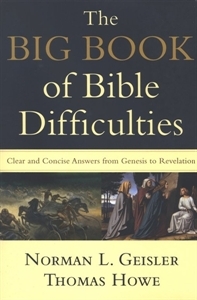 This comprehensive volume offers readers clear and concise answers to every major Bible difficulty from Genesis to Revelation, staunchly defending the authority and inspiration of Scripture. Written in a problem/solution format, the book covers over 800 questions that critics and doubters raise about the Bible. Three extensive indices--topical, Scripture, and unorthodox doctrines--offer quick and easy access to specific areas of interest.